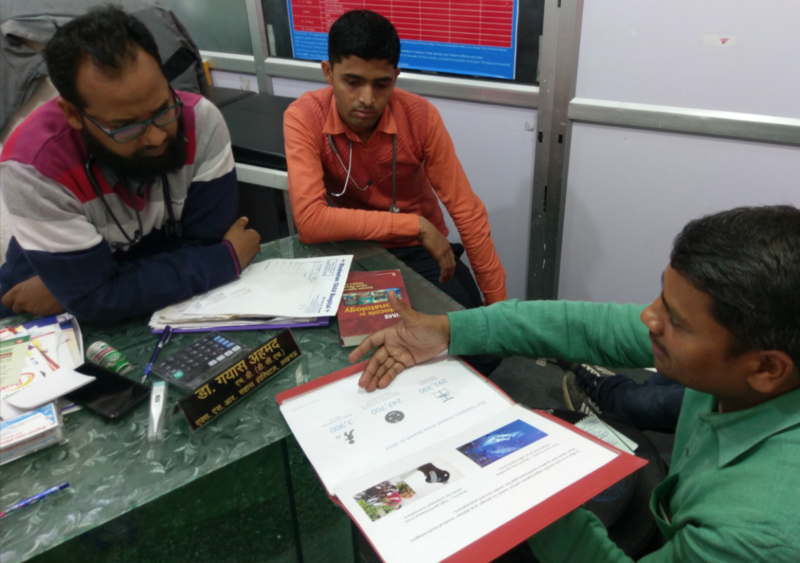 D-Rev Business Development Executive, Dheeraj Kumar Mishra, conducting a problem-led conversation on jaundice management with a doctor outside of Bahraich, UP. The Brilliance Expansion and Strengthening Program (Brilliance ESP) is an experimental sales laboratory designed to extend the reach of D-Rev’s award-winning Brilliance line of phototherapy devices to the most underserved and high-need areas of India and East Africa. Using the same principles as our user-centered design process, our sales process, designed in partnership with Whitten & Roy Partnership, focuses on a problem-led approach as opposed to a product-led approach. We are engaging with doctors and hospital administrators about how to effectively treat newborn jaundice and building strong relationships between D-Rev and our customers that extend well past a sale. By focusing on proper usage techniques of Brilliance, we aim to drive greater utilization and more efficacious usage of our devices. Our approach is designed to empower medical practitioners to have the confidence to know that they are delivering the best possible treatment to at-risk newborns with jaundice. Our hypothesis, based upon evidence from other deployments of this sales technique, is that we will be able to cost-effectively sell Brilliance devices quicker, drive increased demand through awareness creation, and expand phototherapy treatment options into rural areas where previously no treatment was available. We will evaluate our learnings from this program to help drive distribution and sales strategies for D-Rev and our partners as we expand our product portfolio. We are grateful to Development Innovation Ventures at USAID for supporting Brilliance ESP. Stay tuned for more information on the results of our program!